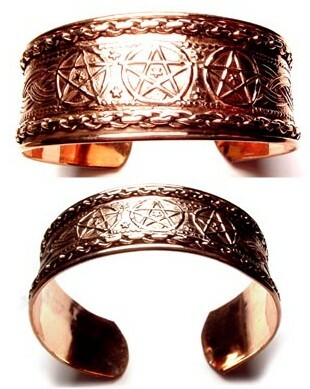 This is an earthy, Triple Pentacle Copper Bracelet. A strong bracelet yet very mallable. Fully adjustable for a nice fit. 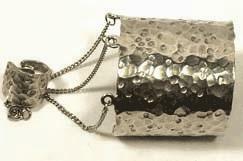 Copper Jewellery is historically know to provide health benefits. 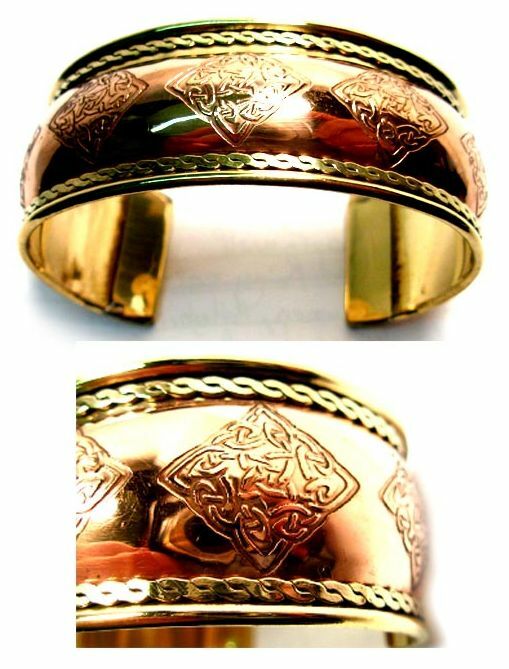 A beautiful design of copper and brass, this cuff bracelet features celtic knotwork engravings in the copper band. Finished with a border of twisted brass along the edge. Copper Jewellery is historically know to provide health benefits. 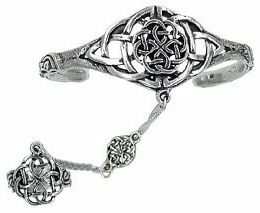 Featuring extensive Celtic knot work, this set features an adjustable bracelet and ring connected by a chain decorated with an additonal celtic knotwork medallion. The ring is designed to fit your middle finger. The Roman inspired Slave Bracelet is a reminder of the medieval hand adornments of ancient times. 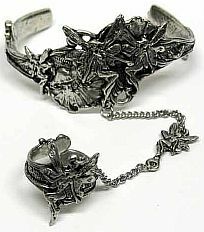 Featuring beaten antiqued pewter on both the bracelet and the ring which are fully adjustable. The ring is designed to fit your middle finger. 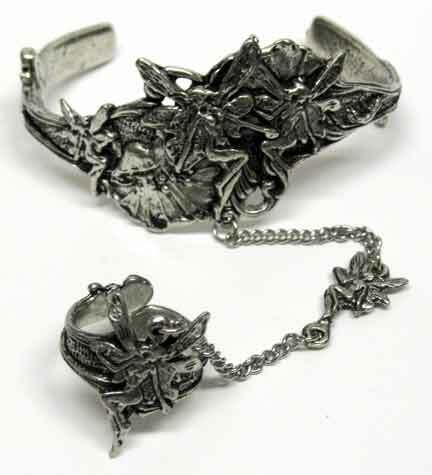 Featuring detailed Fairies, this enchanting slave bracelet features an adjustable bracelet and ring connected by a chain decorated with an additonal fairy. The ring is designed to fit your middle finger.